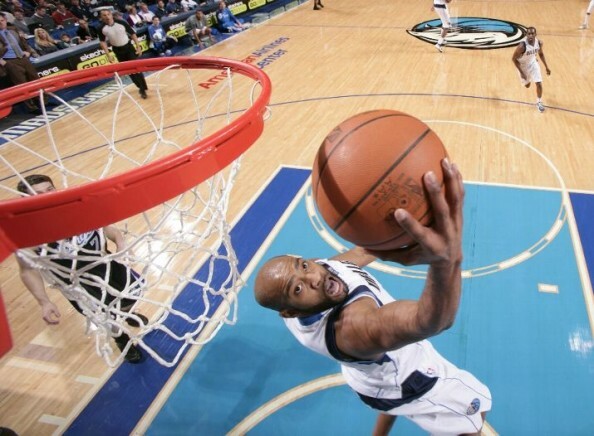 Vince Carter had a pretty good game for the Dallas Mavericks in their very important 110-100 win over the Sacramento Kings, keeping them at the 7th spot, 1.5 games ahead of the Phoenix Suns in the Western Conference Playoff race. Too bad he had to add an embarrassing air-ball after a failed attempt at an easy lay up. Carter scored only 7 points, but finished with 7 rebounds, 5 assists, 1 steal and 3 blocks. The most impressive player of the night was DeMarcus Cousins, finishing with 25 points and 18 rebounds, but that’s hardly enough when you don’t have any support from the bench. But Carter stole the show, even from the high flying Brandan Wright who probably notched up another ‘Dunk of the Night’ title from NBA.com, finishing with 13 points and looking a little bit more comfortable with the Dallas Mavericks as compared to his previous NBA seasons. The connection? Both are North Carolina alums, but that’s where the distinction ends. Wright will never have the career Carter has had since entering the league in 1998. Some would even argue Carter deserves as spot in the NBA hall of fame, but missed potential and under achieving despite having enormous talent doesn’t usually go well with voters. And Carter hasn’t been ‘half-man, half-amazing’ for quite a few years now, averaging in single digits (9.6) this season for the Mavs. Worse? Carter’s hops seem to be completely gone. You may say that his air ball was just a bad impersonation of George Gervin, and Cater mistimed his steps, resulting in an air ball and a travelling call, but you can also say that Carter forgot that he’s not the same player he was for the Raptors or the New Jersey Nets. Too many years and wear and tear on the often injured players take a toll on players, and Carter simply looked embarrassing when trying to recapture some moment of a highlight-filled past.